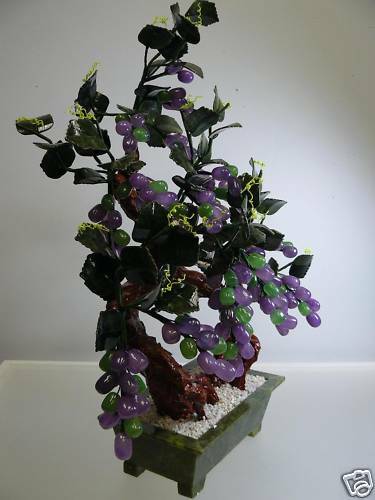 L: 16", W: 10", H: 24"
THIS BEAUTIFUL WORK IS MADE OF NATURAL LAVENDER JADE, TAIWAN JADE AND ROSEWOOD. 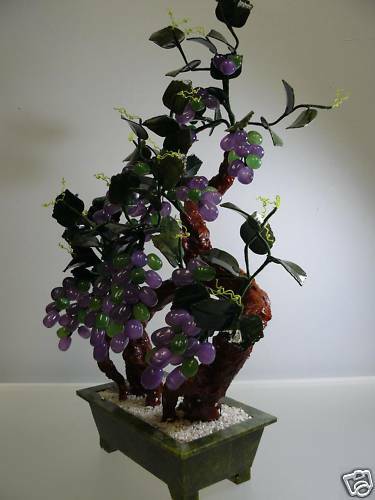 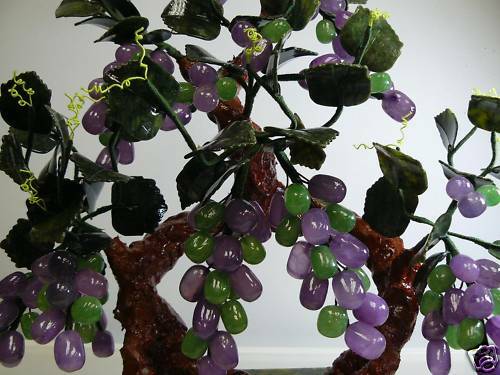 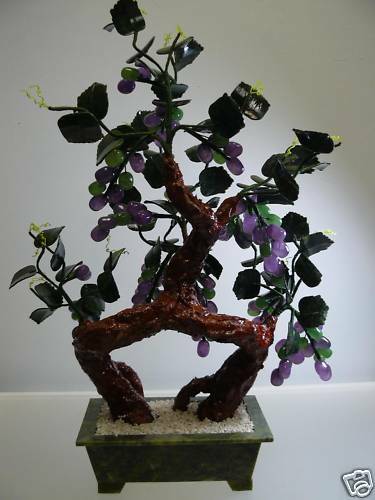 BUNCHES OF GRAPES ARE MADE OF PURPLE JADE, HANGING ON THE TREE, ITS LEAVES ARE MADE OF TAIWAN JADE. 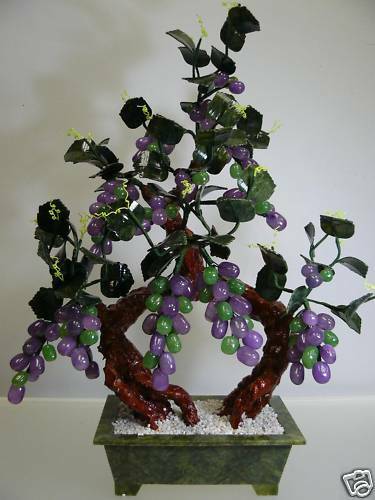 THE VINE IS BEAUTIFULLY DISPLAYED ON THE VASE.